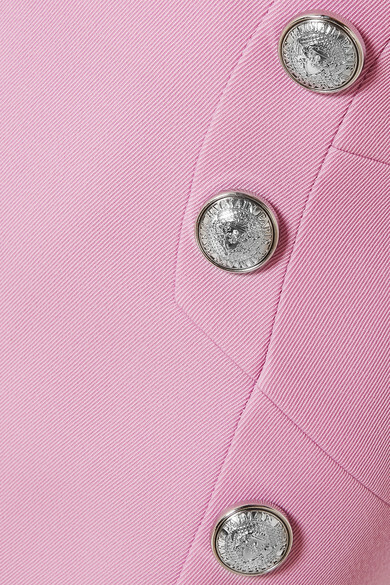 Balmain's mini skirt is decorated with the label's signature lion-embossed buttons - this time in silver to match the coordinating blazer. It's been made in France from wool-twill and sits at the slimmest part of your waist. The pretty pink hue will go well with white or metallic accessories. Shown here with: Miu Miu Shoulder bag, Tabitha Simmons Pumps.